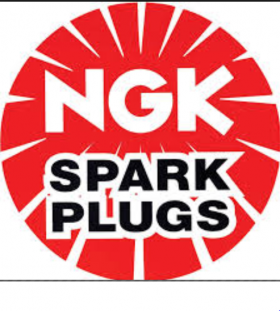 One current and one former executive with Japanese supplier NGK Spark Plug Co. were indicted today on a charge of conspiring to fix prices of spark plugs, standard oxygen sensors and air fuel ratio sensors sold in the United States. Norio Teranishi, a former NGK Spark Plug executive, and Hisashi Nakanishi, still with the company, were indicted in U.S. District Court in Detroit on one count of conspiring to fix prices of the parts, in violation of the Sherman Act, the U.S. Department of Justice said in a statement. The maximum penalty is 10 years in prison and a $1 million fine. The components were sold to then-DaimlerChrysler AG (now Fiat Chrysler Automobiles), Ford, Subaru, General Motors, Honda, Nissan and Toyota. Teranishi and Nakanishi both remain in Japan, a Justice Department spokesman said in an e-mail. "Teranishi has been notified of the charges, and we are awaiting confirmation from Nakanishi," the e-mail said. "Both have counsel, but their names have not been made public yet." NGK officials could not be immediately reached for comment. In about 20 past cases, Japanese supplier executives involved in the ongoing U.S. price-fixing investigation have remained in Japan to avoid prosecution. It is unclear if U.S. prosecutors will seek any extraditions. "As a matter of policy, we generally do not comment on extradition matters," the Justice Department spokesman wrote in the e-mail. Similar investigations have been underway for the last few years in Canada, Europe and Asia. U.S. prosecutors allege that Teranishi and Nakanishi began participating in and directing price-fixing and bid-rigging conspiracy meetings as early as January 2000 and through July 2011. They reached agreements to rig bids, allocate the supply and fix the price of the components sold to seven automakers in the U.S., according to the indictment. In 2014, NGK Spark Plug pleaded guilty to participation in price-fixing conspiracies and agreed to pay a $52.1 million fine. The indictments of Teranishi and Nakanishi are part of a federal investigation into price fixing, bid rigging and other anti-competitive conduct in the automotive parts industry. It is the largest antitrust prosecution in U.S. history. Including Teranishi and Nakanishi, 55 individuals have been charged in the U.S. investigation while 35 companies have pleaded guilty or agreed to plead guilty. These companies have agreed to pay a combined total of more than $2.5 billion in criminal fines.